chow with chow: Look what I made! 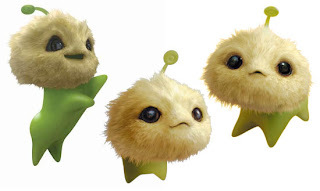 I've never had a sweet tooth, especially for strange extra sweet confections like meringue cookies [jump to thekitchn.com] that look like CJ7 left behind. Unfortunately for me (and those subject to my confections), the egg whites didn't hold their form so the cookies kind of collapsed into its turd form. Though meringue doesn't require cream of tartar, the acidity helps neutralize the alkalinity in egg whites to give them stability and volume, making the doodie cookies less doodie-like! My mistake was substituting lime juice for cream of tartar (3 times the required amount of cream of tartar) which added liquid to the egg whites, thus adding water in addition to acidity... big meringue-o no-no! (Evidently, if you rub cut lemons around the inside of a bowl and let it dry, the white powdery citric acid that is left behind is a good substitute for cream of tartar). that c7 film is gross..